A Build-A-Bear stuffed animal is being recalled because a seam can open, allowing for stuffing material to be exposed and posing a choking hazard, the U.S. Consumer Product Safety Commission said Thursday. 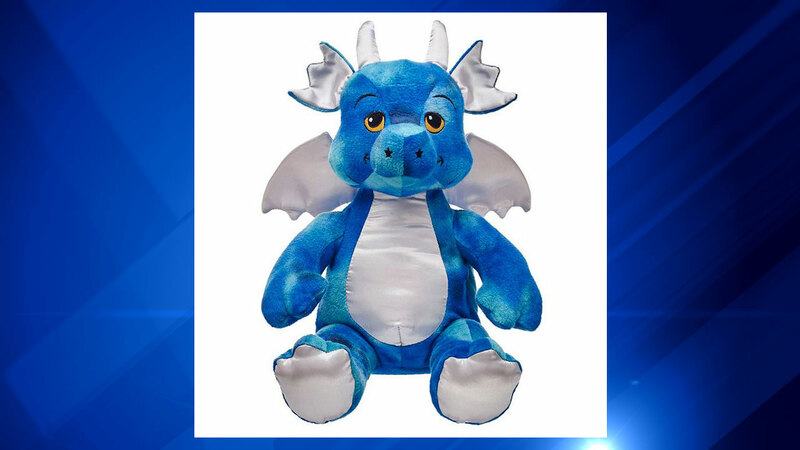 The Starbrights Dragon, which was sold between April 2015 and August 2015 for about $25, is covered in a blue furry fabric with silver satin tummy, feet, wings and horn. The tracking label ends with 9333 or 9334 in the United States and 9337 or 9459 for Canada. The label can be found sewn on the backside of the leg. No injuries have been reported, the commission reported. About 33,600 stuffed animals were sold. Consumers can take the stuffed animal to any Build-A-Bear Workshop store to receive a coupon for any Build-A-Bear stuffed animal. Consumers can call 866-236-5638 or email ProductHotline@buildabear.com. For more information about the recall, visit www.buildabear.com and click on Guest Services, then Product Recall at the bottom of the page.